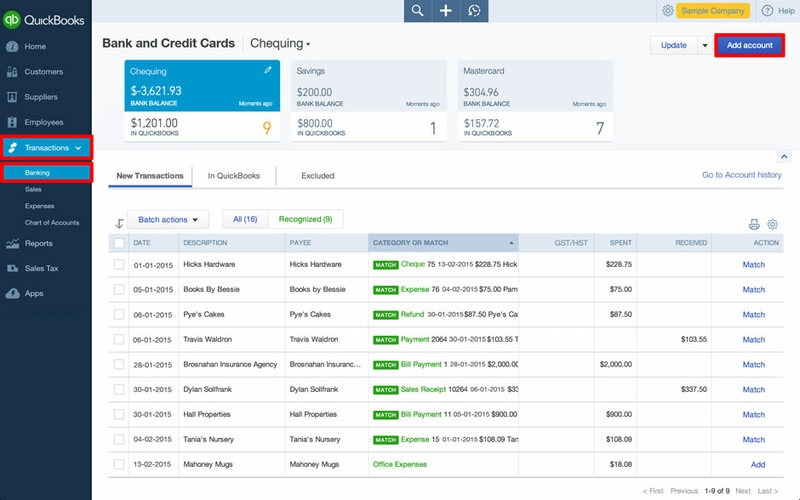 This video shows you how to record expenses you pay, cheques you write, and bills you pay in QuickBooks. 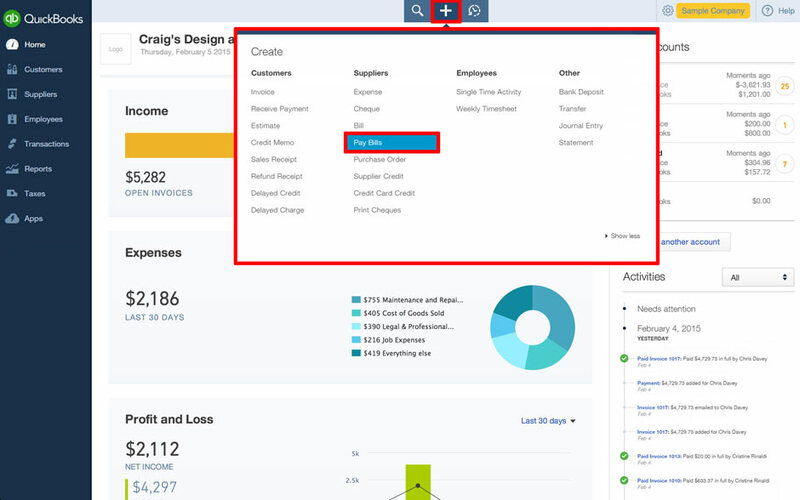 Read the instructions below or watch the video above to learn how to do it in QuickBooks. Go to the Create (+) Menu and under Suppliers choose Bill. 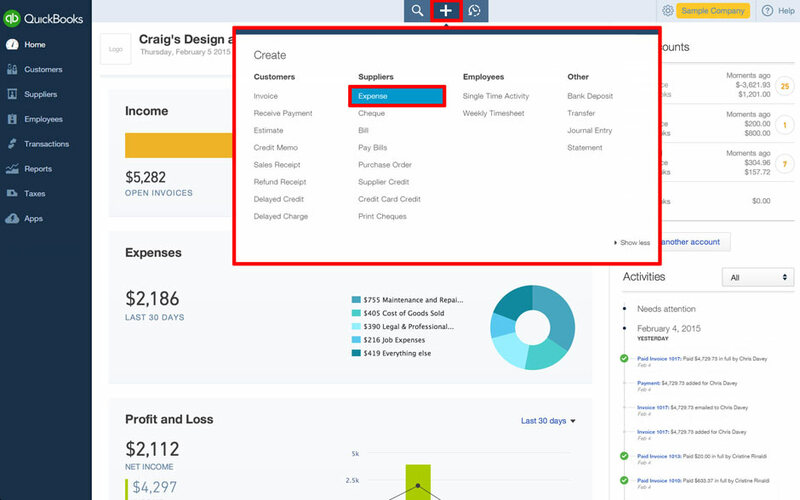 In the Create (+) Menu, under Suppliers click Pay Bills. This is where you can select any or all pending bills and choose to Save and pay more bills or Save and close. 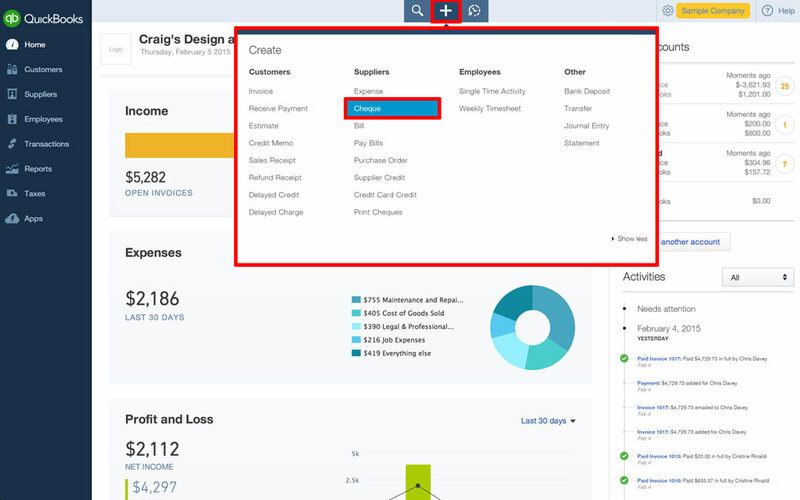 To pay a bill immediately with a cheque, go up to the Create (+) Menu and under Suppliers choose Cheque. 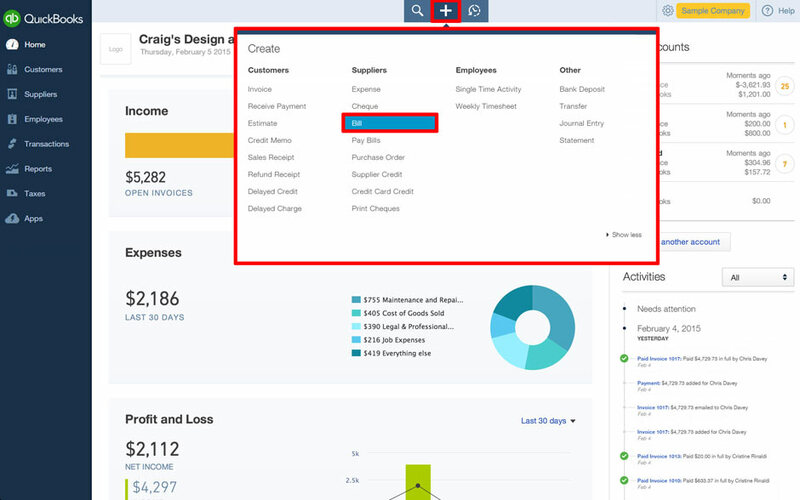 If you’re paying your bills with anything other than a cheque, go up to the Create (+) Menu and under Suppliers choose Expense. 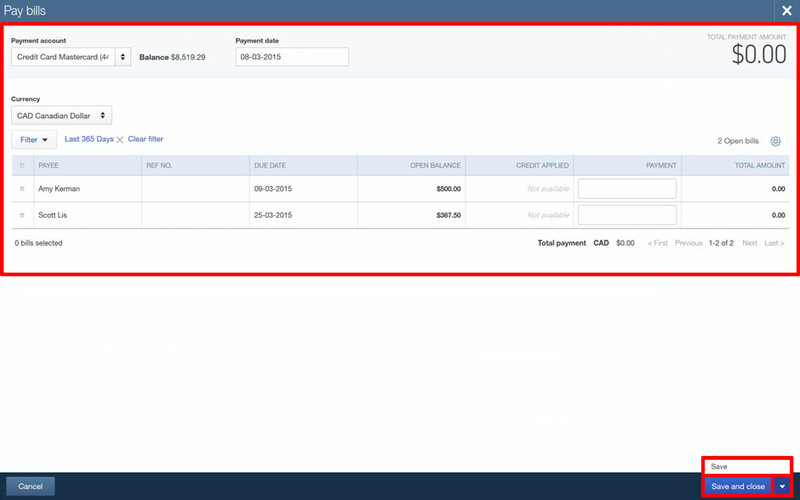 Go to the Transactions tab in the Navigation Bar and then select Banking from the drop-down menu. This will take you to the Bank and Credit Cards page where you’ll see the Add Account tab on the right-hand side. A slightly faster way to get here is by just going up to Bank Accounts on the Homepage and clicking the button labeled Connect an Account.